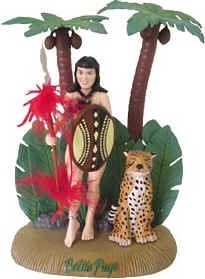 Who was "Jungle Bettie"? 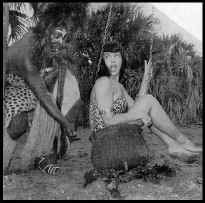 Jungle Bettie was Bettie Page, the most popular pin-up girl of the 1950's, who passed away December 11, 2008. 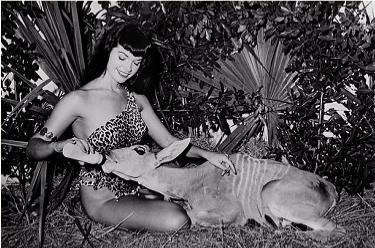 Her most famous camera shoot occurred at Africa U.S.A. with famous photographer Bunny Yeager. 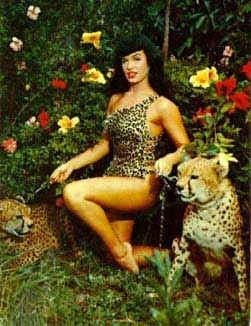 From this session the "jungle" photos became famous worldwide. 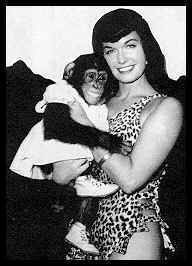 We can't display them all here (this is a "family" site) but there are many web sites dedicated to Bettie Page (www.bettiepage.com).